iPhone 6S just smashed a big record, but can Apple keep the momentum going? Every new iPhone release seems to break records, and the iPhone 6S and iPhone 6S Plus launch is no exception. Both new phones have sold 13 million units in just three days after launching and are still selling fast. 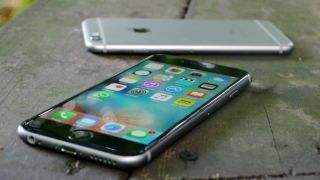 When the iPhone 6 went on sale last year, Apple broke the previous record by selling 10 million units by the end of the weekend it went on sale. This year the iPhone 6S and iPhone 6S Plus was on sale in 12 countries whilst the year before was restricted to just 10 on the first weekend. "Sales for iPhone 6s and iPhone 6s Plus have been phenomenal, blowing past any previous first weekend sales results in Apple's history," said Tim Cook, Apple's CEO. "Customers' feedback is incredible and they are loving 3D Touch and Live Photos, and we can't wait to bring iPhone 6s and iPhone 6s Plus to customers in even more countries on October 9." It shows even though the S has been considered a smaller step than last year, with a lot less interest than last year's model, there's still a lot of hype around the phone - and the proof is in the numbers.